The 3870H regulator is specifically designed to meet the high flow, high pressure assist gas requirements of the laser cutter. It has fast on-off-on response, high flow capacity, and delivers the pressures required for the job. 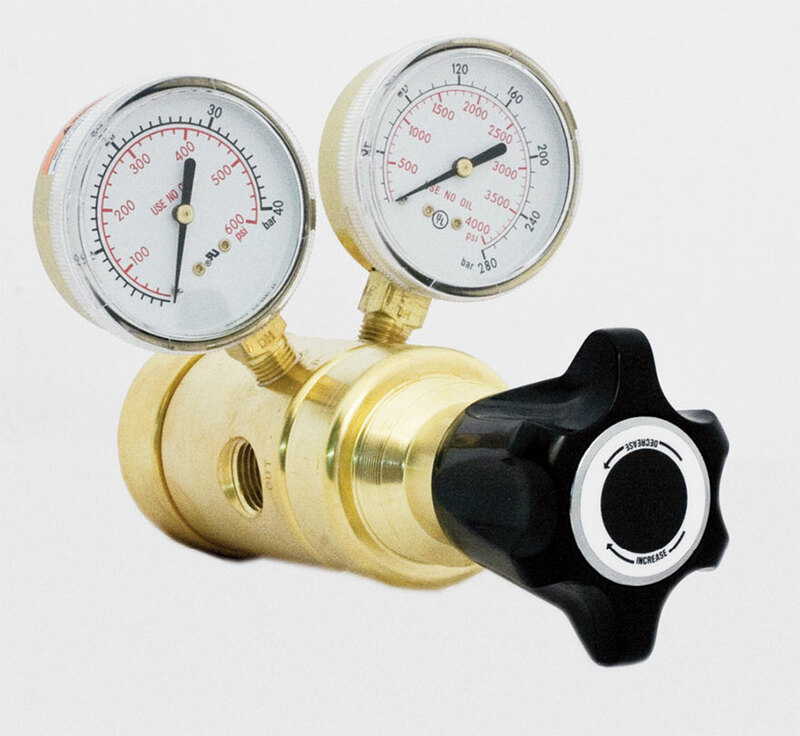 Whether your source gas is cryogenic or high pressure, this regulator can handle the job. The regulator is actually two regulators in one body – a dome-loaded piston regulator with a sensitive diaphragm actuated dome loader built in. Rapid on-off-on response even at high flow rates. 1/2” NPT female inlet and outlet connections. High flow capacity Cv = 0.55. Minimal delivery pressure decay (0.3 psi/100 psi). Bonnet threaded to accept panel nut. Encapsulated seats with 10 micron filter.